A concept to take a look at here might be the UK's STRIKE Brigade. You can find more on it here. The Brits are looking at what the French achieved in Mali as a potential base for a new Brigade construct that is supposed to be "an enabler for Division maneuver" while at the same time being able to perform in dispersed son of Mali type operations. In a lot of ways it seems like a bit of a Frankenstein monster that is to make the best of a bad situation. The use of the tracked AJAX in conjunction with the forthcoming wheeled mech infantry combat vehicle seems odd for a concept that is hanging it's hat on the ability of its wheeled fleet to force project rapidly. The AJAX is being seen as both a reconnaissance platform and potentially a medium tank which is concerning. The doctrine for the concept/formation is not yet defined so in some ways it is probably whatever you want it to be. As the author of the article notes, infantry mass has been key in most modern conflicts and this structure gives them protected mobility. The question is whether increased mobility will be able to compensate for reduced protection when fighting a peer opponent. The real pig was their new VBCI, which tips the scales at 25.6 mton (56k lbs). So, you have a true middle weight force that was able to project into Africa and, for all intents and purposes, run a successful expeditionary operation on a shoestring. It was a perfect middle-weight force, with enough capability to overpower an irregular foe, yet not so heavy that it stresses sustainment, taxes local infrastructure, and slows deployment time down due to movement capacity. However, with the VBCI and the Jaguar (replacement for the AMX-10RC and ERC-90), the French force will go from a 30k lbs force to a 55k lbs force. Implications for deployability and sustainability should be evident. In the meantime Canada's mid-weight force got heavier, with the LAV III (16.9 mton - 37k lbs - weighing more than any of the French legacy vehicles) upgraded to the LAV 6.0, coming it at a whopping 28 mton (62k lbs). The US Stryker, which was supposed to deliver (but failed) global rapid deployability, weights in at 18 mton (39k lbs). The British Strike project is in the worst shape as it is built around the Ajax, which comes in at 38 - 42 mton (83k - 92k lbs), but at least it has tracks. At the other end of the spectrum, the HAPC's discussed in the original article come in, for the Israeli Namer, at 60 mton (132k lbs) and for the Russian T-15, 48 mton (105k lbs - Russian vehicles have always been smaller). So, the LAV 6.0's 62k lbs is only half of the Namer and 60% of the T-15, and how much of that weight is dedicated to a 25mm manned turret? This is all "back-of-the-napkin" work, but it seems that a family of vehicles in the 9-11 mton range (20k-25k lbs) could provide a solid basis for a agile mid-weight force that could project quickly and have enough of a balance of firepower, protection, and mobility to be of use in a theater with irregular threats or in certain tactical situations in a theater with a regular adversary. A family of vehicles in the 50-60 mton (110k-132k lbs) could provide a solid basis for a heavy, world-beating force that could possess enough firepower, mobility, and projection to deal with any regular threat. Instead, most (all?) Western countries are going to vehicles that are in the awkward middle: too heavy to be a true "medium-weight" force and too light to be a true "heavy-force" for close combat. "Flabby-medium weight" vehicles seem to be the prise du jour. The so what? Canada has got its 62k lb bohunk, so we need to figure out how to use it as it isn't "medium-weight" and it isn't "heavy." As Thucydides and Haligonian mentioned above, looking into a new concept would probably be useful. "Mounted Rifles" (or whatever), which are light-heavyweights that don't accompany the tanks, but have enough firepower, mobility, and protection to hang around the big leagues in a prescribed fashion. If we are thinking of larger, heavier vehicles (but not too large and heavy) I would put in a word for the USMC's ACV. At @ 30,000 kg it is comparable to the LAV 6.0, but offers the ability to conduct amphibious operations, which is a capability we do not currently possess. The ability to cross rivers, lakes and other water obstacles would seem to be a no brainer (certainly one of the hard won lessons of the Netherlands campaign, and a major weakness during the Cold War, when we would have had to cross a landscape cut with innumerable rivers and canals....). Why not ask for capabilities that would provide more flexibility and options? The firepower is more comparable to an APC (currently .50 HMG/40mm Grenade launcher), but no doubt a stabilized RWS will eventually be offered. There is no guarantee that we won't be facing water obstacles in some future operation (regardless of where it is or what intensity the operation is at). On a positive note, the hull is large and roomy enough to support innumerable variants if desired, and assuming anyone were to seriously consider this option, we could actually get a buy in with the USMC, get a long production run and have considerable economy of scale savings as well. I think that our LAV III was, either by sheer dumb luck or cagey design, well suited for the operations it was sent on. I'm not sure it needs the turret, but it does make a good package for COIN/Stability Operations. I think that it, or indeed the LAV 6, can work in high intensity operations if we are smart. Infantry should not be leading mounted against a conventional threat. Our doctrine had that in the Cold War - no reason to change it. Our Leopards should be leading the way and we should not be assaulting until the enemy has been well and truly neutralized. Now, I think that M113s with RWS would work well enough for high-intensity operations. 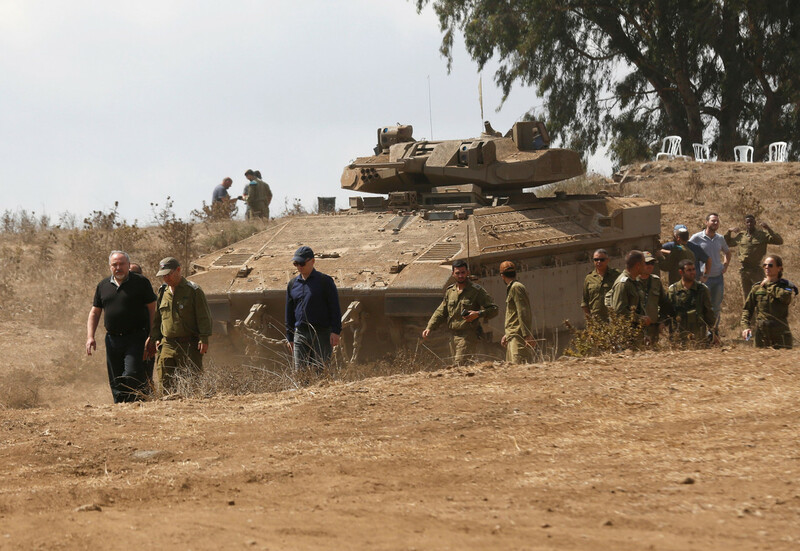 I note, though, that the Israelis did indeed adopt vehicles like the Namer due to in part to the vulnerability of the M113s in the Lebanon operations. The French experience in Mali is truly fascinating. I think that we can get into trouble by talking about "expeditionary operations." Of course we are going to conduct expeditionary operations. That doesn't mean we have to be C130 light. While some vehicles were flown in, even the medium weight French force in 2014 had much of its heavier elements deploy by ship and then overland. While their agility was outstanding, we should not forget that they already had troops in the area. If Canada were to participate in something similar I think that we would find our LAVs, TAPVs and towed artillery quite useful. We can't protect our infantry against all threats from all aspects. In high-intensity operations we need to worry about protection from artillery etc. In COIN we worry about ambush and IEDs. Its hard to have the perfect vehicle for all threats. I think that LAV IIIs/LAV 6s can work in a high-intensity environment as long as we treat them as infantry carriers first and not as 25mm gun platforms. I was part of some rather dogey combat team exercises with LAVs where the infantry wanted to be assaulting "on line" with the tanks to allow them to maximize their firepower. While it looked impressive on a live fire it bothered me thinking about a real enemy with AT defences and obstacles. Let us do our job so that you survive to do your job! I got a former EWS classmate whose the XO of 2nd Amphib Bn now who just so happens to be coming up to Gagetown in the next couple weeks. I'll ensure to ask him how things are looking for the ACV now. I'm sure those dudes are antsy to get themselves a new platform. Looking forward to hearing about the USMC's views on the ACV. Watching the video on a French resupply mission in Mali, the benefit of a lighter AFV became apparent when they broke down, they were able to haul it onto a another truck and continue. A LAV 6 is likely to require a tank transporter or similar and those are few and far between and would require the convoy to sit in place till recovery could get there, which of course means the transporter needs protection as well. Africa is much bigger than Afghanistan, every ton of weight will have a multiplying effect on logistics. Not advocating for the C130 silliness (reminds me of the railgauge limits on British WWII tanks). Attack underscores fragile security situation in the West African nation as it prepares to go to the polls on July 29. Has there ever been a vehicle that was capable of surviving a targeted hit from all aspects? What I mean is most vehicles, especially infantry vehicles, when armoured have been armoured against small arms, fragments and blast - 99% of the effective systems on the battlefield. Beyond that it is just a matter of finding a missile capable of carrying enough energy to defeat the target, or in the case of mines and IEDs waiting for the target to pass over a large package of energy. Even the heavily armoured targets can be defeated by choosing a different aspect to attack and/or by saturation. Once you have stipulated that any vehicle is vulnerable then it follows that casualties will occur. And once you have accepted that casualties will occur then the debate reverts to one of how to get the job done while minimizing casualties with the best available equipment employed in large numbers with the best available TTPs. Minimizing being the key work. Not eliminating. Personally, from what I am reading about the Ukrainian discussions, I would be looking at purchasing whatever is effective at killing artillery and armoured vehicles from the greatest possible distances with the fewest number of own forces put at risk as gunners and missileers. The highlighted part makes sense to me. Even if the "light" portion of a heavy/light mixed force was C-130 air transportable, do we have enough transport capability to move a large enough force in quickly enough to be more than speed bump to an opposing peer enemy? Even if we did manage to beg/borrow/steal the transport capability, do we have the ability to quickly generate an effective sized combat force in an extremely short period of time to make use of it? I think for Canada, expeditionary will need to mean deployment by ship. On the bright side accepting that reality allows you to pick a mix of vehicles that best suit the required roles rather than limiting them to an arbitrary size/weight due to unrealistic transportation constraints. I see the real logistical constraints being more in country. We generally get 6 months or so lead time for our expeditions, between our allies, rent a BFA, C-17 and RO/RO ships, we can get our advance party there quickly and the main force in time. It will be the constraints within the country that limit our ability to move and deploy. And I wonder how many 300 kg missiles in 6 round pods could be carried in a single C130? And do they need trucks or could they be dropped off in fixed positions with remotely operated elevating and traversing systems? Meanwhile the infantry re-roles as 8-man spotter teams armed with the extended range Javelin (4750 m) and laser designators. I'm curious to know what the experienced members here think. If Canada were to get a heavy APC to go along with our tanks, are the 60ish ton Namer/Leopard/Abrams type models that have been discussed here the right way to go? E.R. Campbell has posted on his blog articles suggesting that future battles may be more likely to shift from the plains and woodlands to heavily populated urban centers and Megacities (https://coloneltedcampbell.blog/2018/02/11/future-wars-6/ https://coloneltedcampbell.blog/2018/08/06/urban-warfare-war-in-megacities-getting-it-all-wrong/). Is such a large and heavy vehicle well suited for this type of warfare, or is something smaller, but still heavily protected (and not yet in existence?) a better option? The premise for increased urban combat seems to make sense to my civilian mind. Non-peer enemies would be wise to retreat to the relative safety of urban areas in order to reduce the technological advantages held by Western military forces. I'm guessing that even peer enemies like Russia and China are unlikely to choose to engage Western military forces head to head on near even terms. I think it would be much more likely that they would aim to secure more limited objectives very quickly with localized superiority of forces and then leave the West facing the prospect of driving them out of the territories they have seized. It would make sense for them to do so from urban areas where Western air power has reduced effectiveness and the prospect of heavy casualties (both military and civilian) may deter a military response. Do you agree with this vision of where future warfare is increasingly likely to take place? What type(s) of vehicles and weapons would be most suited to this type of warfare and how does that differ from more conventional thinking on maneuver warfare and long range precision weapons? Is Canada currently prepared/equipped to be able to operate in this type of environment? The downside of that approach is people have seen the result both in Fallujah, Iraq recently and Syria. It only works till the West or the Russians have had enough and then they slowly destroy your city, or quickly if it's the Russians. This discussion has taken place in other threads. I recall making proposals in "Future Armour" which included tanks with "cleft" turrets capable of very high angle elevation to shoot at targets on rooftops, and ACHZARIT type infantry support vehicles with multiple RWS carrying .50 HMGs or 40mm automatic grenade launchers to supply heavy firepower in confined areas (also with high elevation/depression arcs). I have also advocated in other forums for ACHZARIT type vehicles mounting an armoured "box" with several Javelin type fire and forget missiles as a means of taking out hard targets that suddenly appear (the crew commander can essentially "shoot from the hip" at these sorts of unexpected targets). My thought is urban combat really goes to two extremes: either you have lots of both "heavies" as well as "funnies" (armoured engineering and engineering support vehicles) to push through what is essentially a very close range obstacle course, or you need lots of light infantry (possibly with air insertion capabilities) to slip through the rubble, and use helicopters to insert quickly in unexpected areas to define "your" turf and isolate areas. Ideally you havre both, but realistically you need to choose. Frankly, as an expeditionary force, the light/airmobile option may actually make more sense: you can get into theatre more quickly and even "self deploy" to a certain extent, and large numbers of infantry provide means to engage at all levels from COIN to major combat (so long as the Infantry remember to stay in complex terrain where they retain the advantage). Here is a picture of a scale model of an ACHZARIT, which shows the three weapons mounts: imagine the two "wing" 7.62 GPMG's are also RWS mounts (perhaps also fitted with a dozer blade) and you get an idea of what an urban Infantry Support Vehicle might look like. What impact do Active Protection Systems (e.g. Trophy https://en.wikipedia.org/wiki/Trophy_(countermeasure)) have on the requirement to have heavily armoured APCs? If systems like this are truly effective counter measures to RPGs and ATGM's then is it possible to "downgrade" from a 60-ton Namer-sized Heavy APC to something lighter like the Puma (https://en.wikipedia.org/wiki/Puma_(IFV)) or CV90 (https://en.wikipedia.org/wiki/Combat_Vehicle_90), or even much lighter like the BvS10 (https://en.wikipedia.org/wiki/BvS_10)? My major issue with active protection systems is what happens to the dismounted Infantry in the area when to discharges? If I know or suspected the oncoming HAPC's had an APS, I'd instruct my section commanders and tank hunting teams to use their anti armour weapons when they see the infantry dismounting. I might not kill them, but they will be suppressed as the APS rounds are blasting overhead, breaking up any momentum the attack might generate. An ACHZARET spitting out fire from its 3 on board machine guns and 60mm mortar would be working to suppress the enemy instead, and a hypothetical Merkava 1 used as an HIFV would be hammering potential fire positions with 105mm HE as well. This is in line with the Australian experience described in another thread, where up to 2/3 of a company was used as a firebase to literally smother the enemy with fire while slamming assault groups moved in. In this instance, I don't need 2/3 of the company as a fire base since I'm bringing my own firepower to the party. The ACHZARIT might actually be the "sweet spot" for this sort of thinking, it weighs in at @ 40,000kg, actually just a bit above things like the USMC ACV or the LAV 6.0, and has a very low profile. A purpose built vehicle would have a better internal layout, and could likely be brought into the 30,000 kg range with more modern materials, engines and other systems (consider rebuilt M-1 tanks shed almost 2 tons by replacing the 80 era wiring harness and electronics, which is pretty unbelievable). For additional protection, I could include perforated steel shields as spaced armour, and network the vehicles to external sensors like micro UAV's to identify targets faster. An APS might be useful on the approach when I'm in range of enemy ATGM's, but I'd switch it off once I closing in to where I plan to do a dismount. Since most of the systems I'm describing are MOTS, and the hull is essentially a big steel box, this is actually a system Canada could design and build on its own. Great article by Maj Peterson. Ref APS and dismounts - I'd be deactivating the systems once on the obj and the ramps drop. The dismounts would pick up some of the slack in terms of defending the vehicles anyways. If I recall correctly, some of the APS are fairly smart and can be programmed to activate certain "zones" while deactivating others.